The solution necessary in the manufacturing sector derives from maximum access to information in the face of rising costs. Hyper connectivity, analytics, robotics, and device-to-device communication are making news and significantly changing how management nightmares were perceived. Information, detail, and intelligence: the entire world survives on them and more access to data will lead directly to improved outcomes for business personnel (if they can process it). 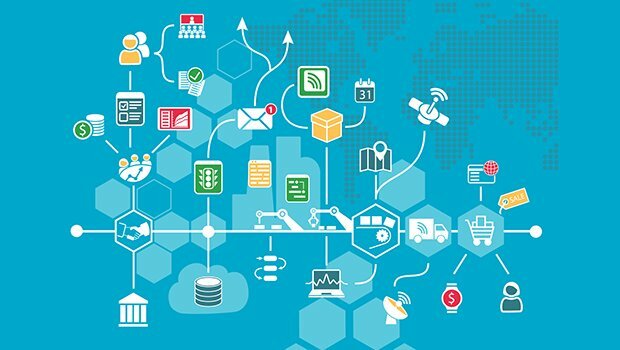 IoT enables an environment for better productivity by improving how easily one accesses information, makes sense of it, and calls for action. Thus, automation is also a vital component of the business ecosystem of the future. For most sectors, the near future has a global data-processing environment, where device connectivity and projection-based simulation will remain dominant. Business leaders have to not just understand, but predict. Inputs come from machine behavior, employee data, market data, and cloud-connected devices; something simply unmanageable unless it’s all in real time. IoT will help intuitive decision making and plug loopholes irrespective of scale seamlessly. 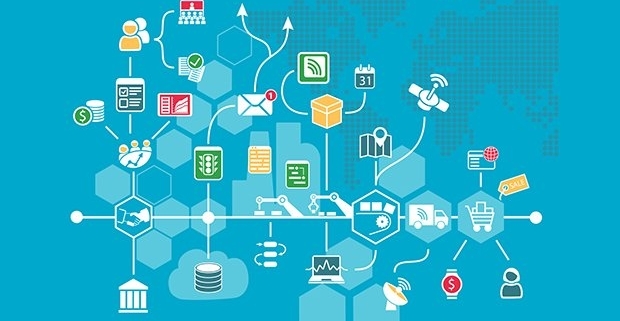 An IoT landscape comes with superior data flow. Devices will be able to recognize trends, leading to research-equipped teams delivering on time. In the manufacturing sector, it is important to conduct processes according to a large number of data points. That, alone, is making machine-to-machine analytics a pervasive idea in the sector. A Domino effect usually triggers feelings of fear and negativity. But IoT is known to “do things differently”. Previously, the only way companies would find product-related details was through customer-facing units. It was transactional, delayed, and rendered managers unready for best-fit planning. But with data sensors, information can be accessed in real time. It speeds up customer service and translates into corrections for product lifecycle management feasibly. The entire manufacturing process runs the risk of defects and delays due to hidden causes. Thus, a data-intensive setup is always inevitable at some stage. Without an easily scalable information and communication infrastructure, profits will be affected significantly. Transporting and making sense of complex data globally has become easy, but for organizations, the required transformation will make sense with handheld devices and a sophisticated setup of algorithms. The systems stays connected over a WSN (Wireless Sensor Network). Robotics, decision-making interfaces, and internet connectivity are the key elements, where your assets need to be managed independently and securely. Customers demand better quality each time. Besides improving your grip on suppliers and pricing, analytics can minimize risk. Thanks to cloud, you can also forge better relationships through transparency across the value chain. A check on every step of the manufacturing process, globally, will result in happy workers and high-quality products. The idea is to connect as many devices as possible and automate your processes. But they need synchronization, so that outcomes do not fail the environment at any cost. The staff’s experience has to be simple, with sophisticated algorithms synched between devices. Single-avenue deliverables, assisted decision making, and smoothly operable teams will return dividends significantly.